So, you just got your hands on that sweet Apple Watch or Android Wear smartwatch that you’ve been wanting for months. What do you do next? You get to using it, of course! At home, at work or while you’re on the town — it doesn’t matter where you use it. Aside from a few features your device might be lacking on the software side of things, there’s something else you might notice that’s missing and didn’t come bundled in the box with your watch. What are we talking about? Oddly enough, the one accessory that doesn’t come bundled with your smartwatch is a pair of headphones or earbuds. This is something of a letdown considering a lot of smartphones and mobile phones do include them. That’s no matter, you can always pick out some headphones of your own to wear while you’re exercising, commuting, or just chilling at home. 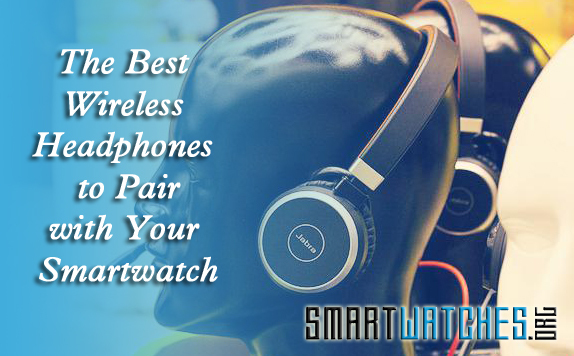 Luckily, most smartwatches support a wireless connection to headphones through Bluetooth, just like your phone. 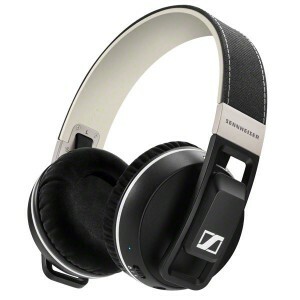 Tracking down some compatible headphones that offer Bluetooth support and sound great might be a little tough, though. That’s where we come in. We’re going to explore some of the best headphones available that would make a great companion for your smartwatch. Like it or not, most wireless headphones are designed to be worn over-the-ears and are quite bulky. That’s not ideal if you’re a runner or you plan to work out while wearing them. Don’t fret, because the Bluedio M2 wireless earbuds are fantastic. You might not have heard of them before because they’re manufactured by an obscure Chinese company. That’s okay. They are compatible with Bluetooth 4.1 and will last for up to seven hours on a single charge. The company behind them claims they will offer “crystal clear” sound, but you can be the judge of that. The best part is that they are extremely affordable at $18.99. You can nab them from Bluedio directly or order them through Amazon. 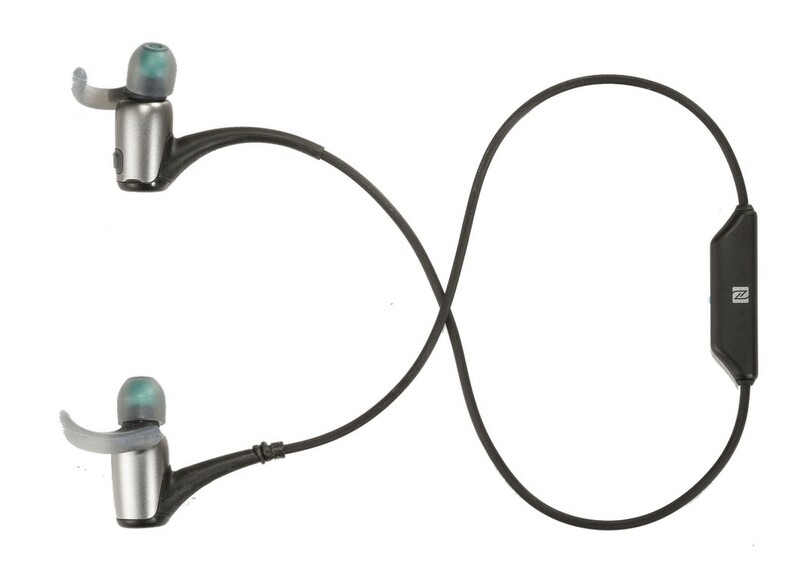 Sony also offers a pair of in-ear headphones labeled the AS800BT. The name might not be so inventive, but the features make up for it. On top of Bluetooth wireless connectivity, they also include NFC — near-field communication — support. Sadly, few smartwatches have NFC chipsets in them, but maybe one day things will be different. There’s a remote control on the earbuds too so you can skip tracks or answer calls quickly. Just sync these earbuds up with your smartwatch, hit the track — or road — and you’re good for about 4.5 hours. After that, you can recharge the headphones via micro USB. They’re not too pricey either, coming in at about $150 if purchased through Sony directly. 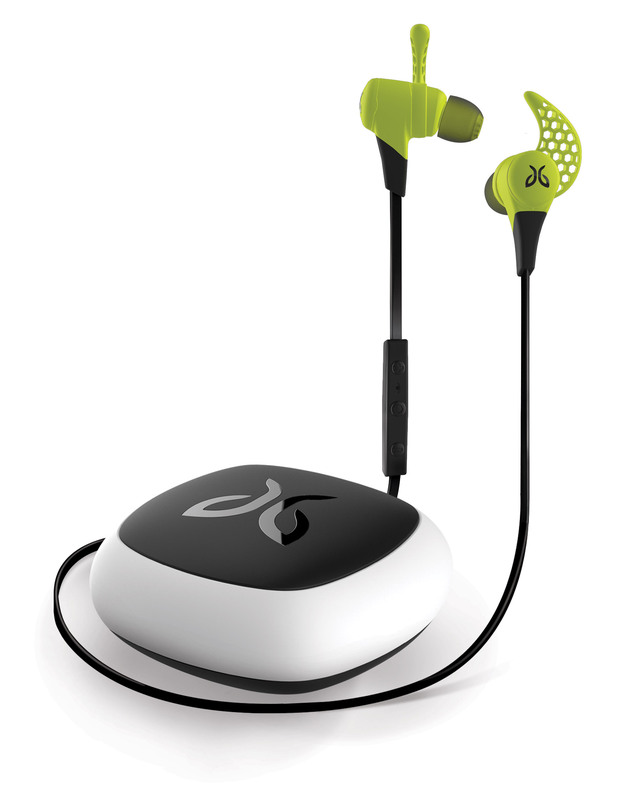 Moving right along, we have yet another pair of in-ear headphones called the Jaybird X2. They can last a total of 8 hours on a single charge, which is quite impressive for a pair of smaller earbuds. Not to mention, they can be worn over or under the ears, whichever you prefer. They even have a voice command system onboard that talks to you when interacting with the headset. It says things liked “powered on” or “mute” and should get along just fine with existing voice command systems on smartphones. 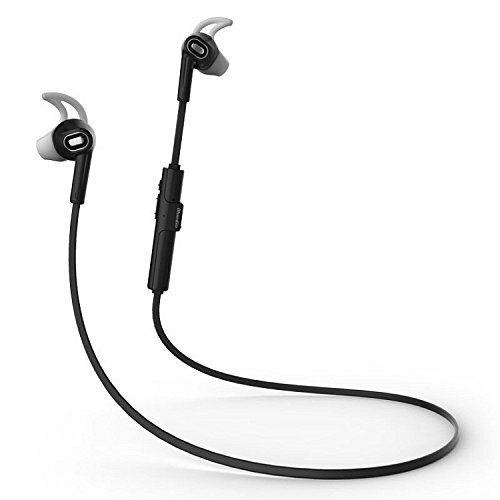 The Jaybird X2 headphones will set you back about $180 if you purchase from the company directly. 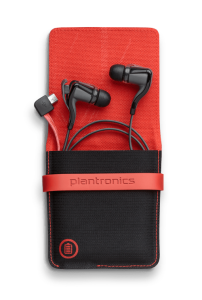 The Plantronics BackBeat GO 2 earbuds connect via Bluetooth and will last up to 14.5 hours with the unique charging case that holds the additional juice. You can listen for up to 4.5 hours before you’ll need to hook them up to the charging case, after which a 20-minute charging session will provide an additional hour of use. Obviously, charging the headphones longer will net even more time. Like most of the other headphones on the list, the BackBeat GO 2 earbuds include an inline control module which allows you to skip tracks, change the volume and even activate voice command features. 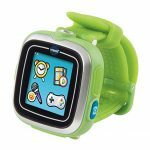 Although, it’s likely the voice activation won’t be compatible with your smartwatch. 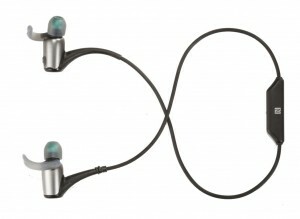 Believe it or not, these earbuds aren’t all that expensive at $100 if you purchase through Plantronics website. Jabra also manufactures hearing aids, so it’s safe to say they know what they’re doing when it comes to aural equipment. 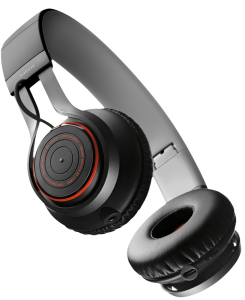 The Jabra REVO is an over-the-ear Bluetooth wireless headset that takes advantage of Dolby sound technology. There’s a microphone embedded too so you can interact with your device through voice commands or take calls. Touch playback controls on the device allow you to skip tracks, change the volume and more. When charged up all the way, the REVO will last for 12 hours of continuous use. After that, you’ll need to get them charged up again if you want to listen some more. You can also use the auxiliary cable to plug them into your smartphone — or smartwatch — if you don’t want to connect wirelessly. The aux cable may not work with your smartwatch. The Jabra REVO retails for about $200. Everybody knows that Bose equipment is about as top-of-the-line as you can get. 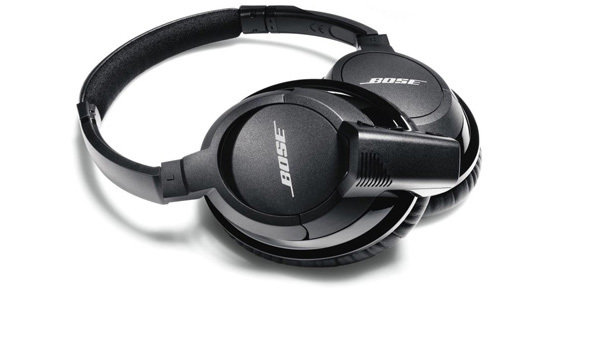 The Bose SoundLink headphones are no exception to that rule. With a price tag of about $250 they’re more costly than a lot of other options on this list. That said, the sound quality they provide when listening to music — or any audio really — is well worth that cost. There are two integrated microphones designed to eliminate background noise while you’re listening. The SoundLink headphones will last up to 15 hours on a single charge. Alternatively, you can hook up to a device via the 3.5mm auxiliary cable if you want. If you own an Apple Watch, you might want to look into the Bose QC 25 Bluetooth wireless headphones instead. The Sennheiser Urbanite XL over-ear Bluetooth headphones are nothing to scoff at. They’ll cost you $250 to own, but it’s well worth the price if you can swing it. On top of the exceptional design and style, they offer NFC, Bluetooth, and multiple device pairing options. To clarify, you can have these headphones connected to a total of six devices simultaneously. Worried about battery life? Don’t, since the Urbanite XL can last for a whopping 25 hours on a single charge. That’s more than enough time to get your exercise or workout routine in, several times. If you’re traveling and you won’t be able to charge the headphones for most of the day, you’ll be all set there too. They collapse and fold up neatly when you’re not using them for added portability. 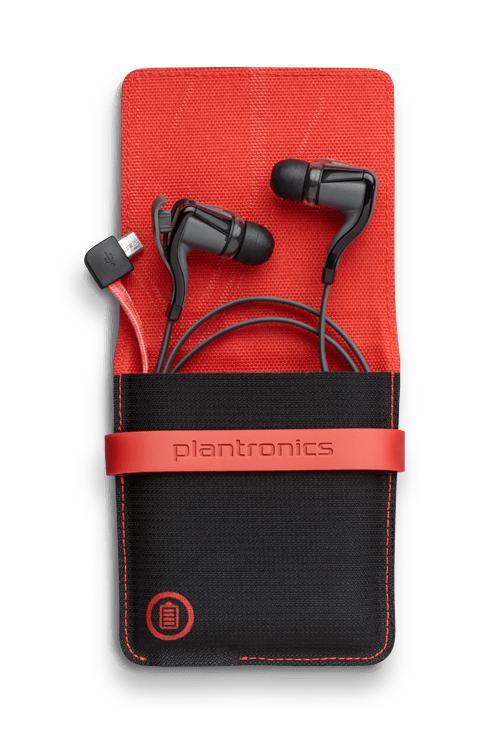 Yes, we already featured a Plantronics BackBeat model in this list but they were earbuds. 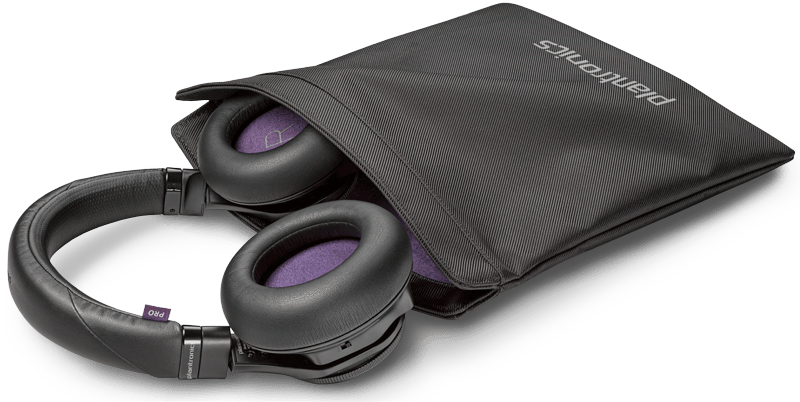 The BackBeat Pro is a pair of over-air headphones with higher quality drivers and noise cancelling support. Once connected, they will remain in sync for up to 328 feet (100m) so you don’t have to worry about them dropping a signal while paired up with your smartwatch. All of that, plus a battery that lasts 24 hours on a single charge means these are well worth the purchase price. 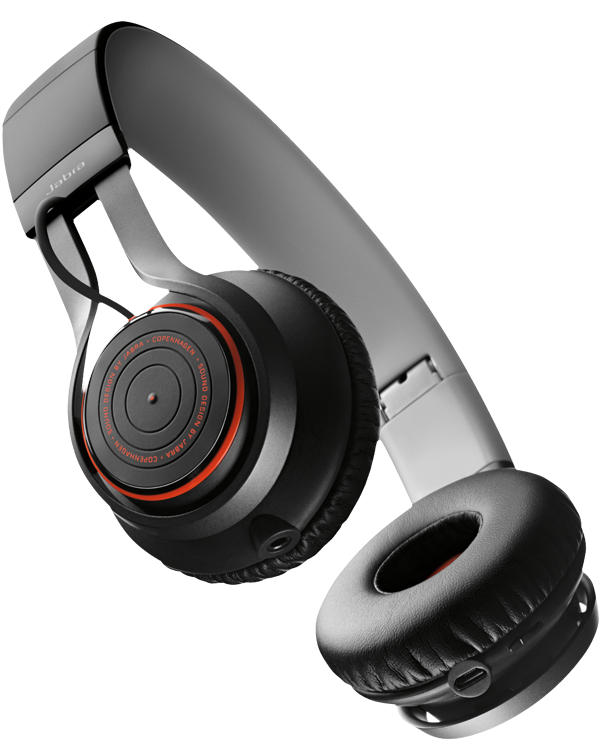 For $180, you can get your hands on the BackBeat Pro headphones from Plantronics.